This dress is everything. I wore it last week when the weather was 70 degrees. This is San Francisco we are talking about, people- and, hello- last I checked it was still winter! It was insane, I think I almost got a base tan. Can we get back to this dress though? It's super comfortable, and I don't regret this impulse buy one bit! Anyone else get lucky with Prabal? This dress was made for you and you look amazing in it! I love you jacket and your glasses. I loooooove this dress :) Looks great on you! GIRL! You are looking gorgeous! That dress is perfect on you! wow! this dress photographs amazing! great choice! A) Wasn't that weather crazy? B) I never saw that dress, but it IS everything! C) Love the collar necklace and whiskey leather with this!! I couldn't resist this dress either!! So fab...and SOFT! You look amazing...as usual...Love the jacket you paired with it too! Oh how I love that dress- you look beautiful in it! you pull it off perfectly! i thought the drop waist would be weird, but it's not at all. i really like it. The styling is perfection. I really really like how you approached this dress. I have the sweatshirt and I'm trying to figure out how to tone down the crazy brightness of it all. 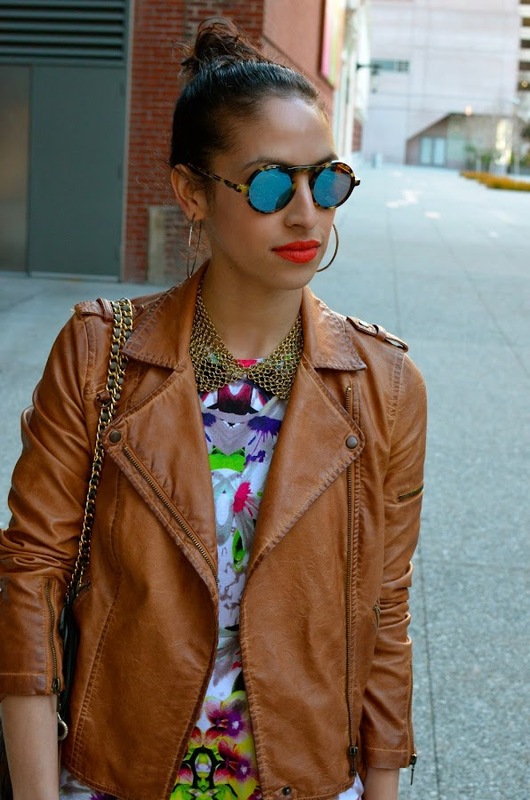 New to your site, SF native, loving and reading your blog with aplomb! Love this look! You bring a much needed ray of sunshine to SF! I love this dress! I own it too and am now terrified to style it after you nailed it! Love the Zara jacket! Can I ask what size it is?